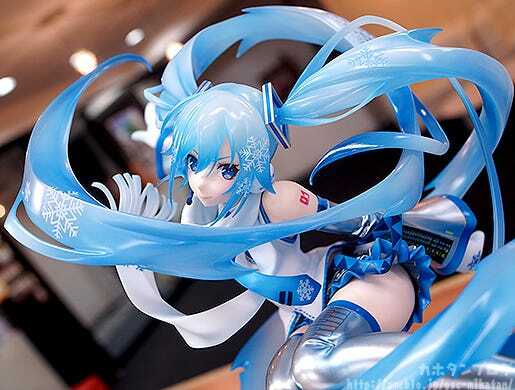 The very first scale figure of Snow Miku from Good Smile Company! 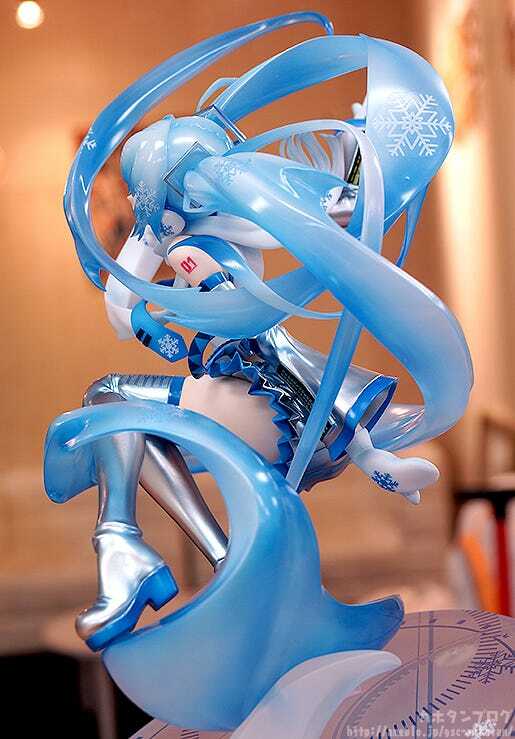 Snow Miku was designed as a mascot character for Winter in Hokkaido, and this version was illustrated by MONQ in a lovely dynamic pose that has now been carefully converted into a figure with the utmost attention to detail! 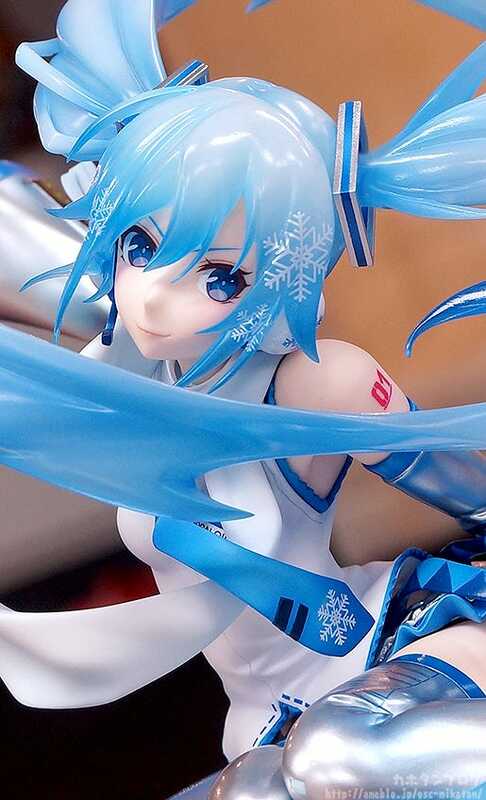 Her long, flowing hair makes use of semi-transparent parts for a lovely icy appearance, the snowflake patterns all over the design have been faithfully included, and the sculpt has been carefully tuned to ensure the figure looks great from all sorts of different angles! 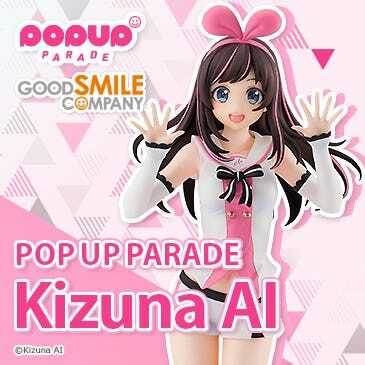 She has a determined, cool expression on her face with a slight blush on her cheeks and glossy lips that bring out her feminine charm for fans to enjoy in their collection! The winter songstress speeding through the snow! She looks ready to jump to life!! 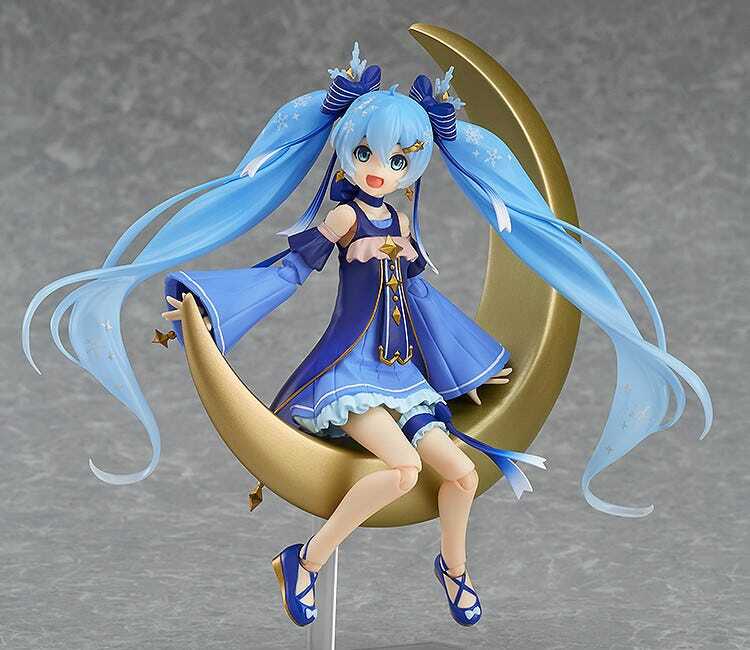 GSC has released lots of Nendoroids in the past, but this is the first time we have released a scale figure of Snow Miku!! 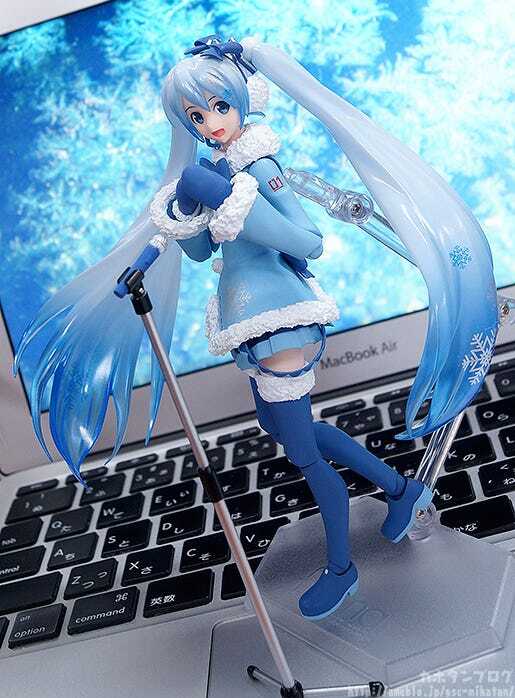 You can find the Nendoroid and figma versions of the 2017 Snow Miku below! 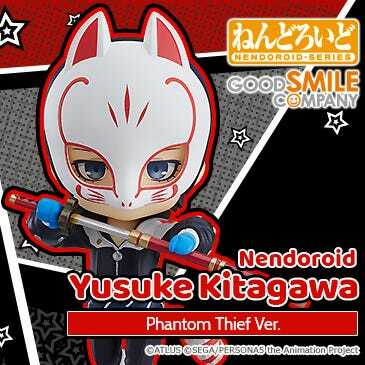 They will be available for order later in February!! 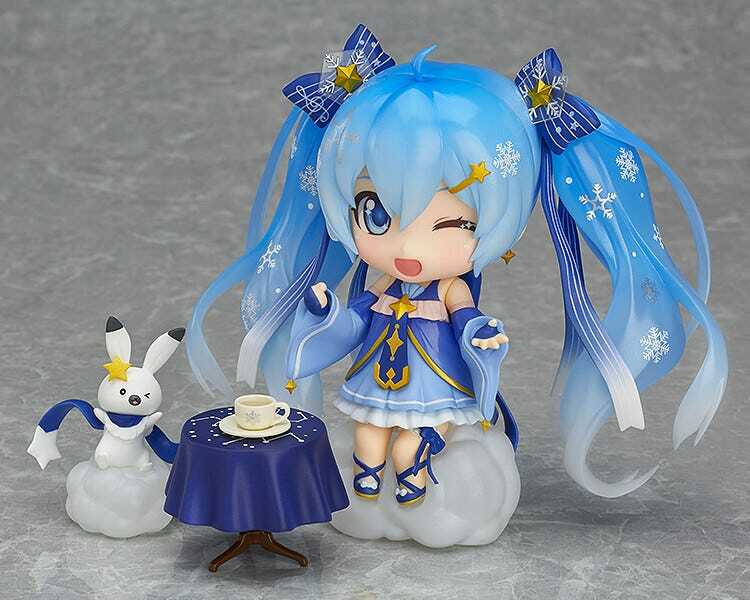 ▲ Nendoroid Snow Miku: Twinkle Snow Ver. 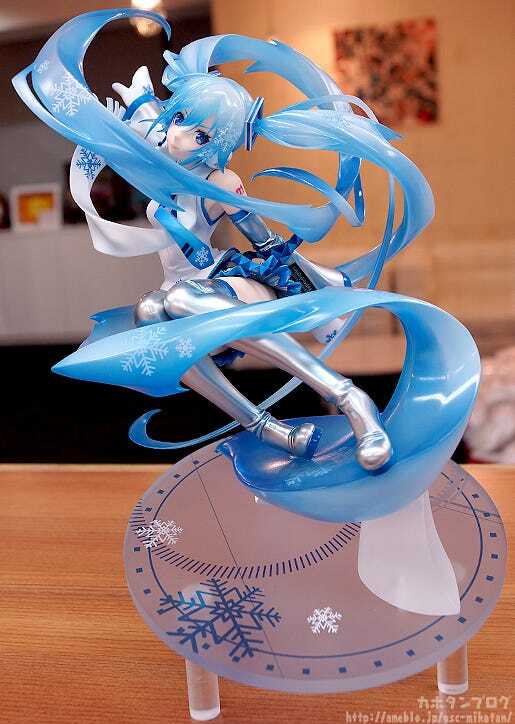 ▲ figma Snow Miku: Twinkle Snow ver. 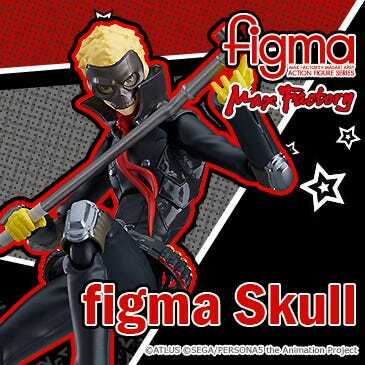 Anyway, let’s get back to the scale figure! 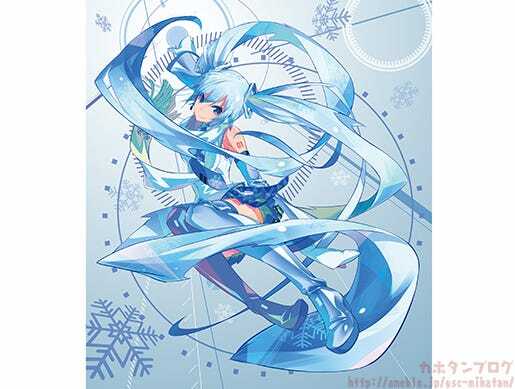 This stylish version of Snow Miku sliding down a snowy slope on her own twin-tailed hair was illustrated by MONQ! Here is the original illustration! 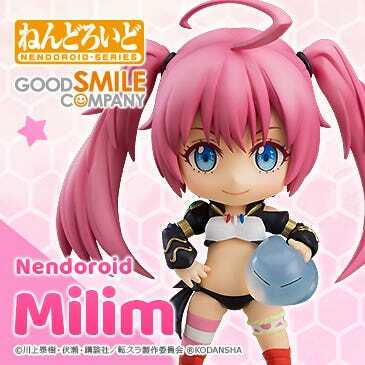 When we take a closer look at the figure, you’ll notice that not only does it capture the bold, dynamic pose and amazing size of the twin-tails, but it also captures the charm and ladylike curves of Miku herself for fans to enjoy! 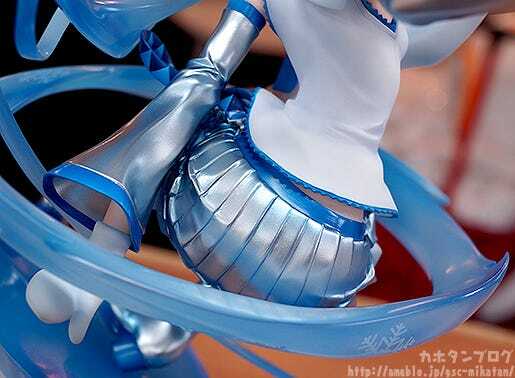 The sculpt is one thing, but the metallic paintwork on the skirt and color differences along the pleats of her skirt also bring out such lovely detail to her outfit! ▲ The strands on the end of her scarf are sculpted with a sense of movement! Those lovely sharp eyes capture such a strong will in them, and the short eyebrows have such strength put into and the slight gloss on her lips… there is something so determined and confident about her!! At the same time the slight blush on her cheeks also keeps the cute and ladylike side to her for the best of both worlds! Looking at her hair from the side captures the milky, transparent appearance very nicely! You also get a good feeling for the impressive size! ▲ I’m not sure if ‘milky’ is the best description here, but I think you know what I mean! 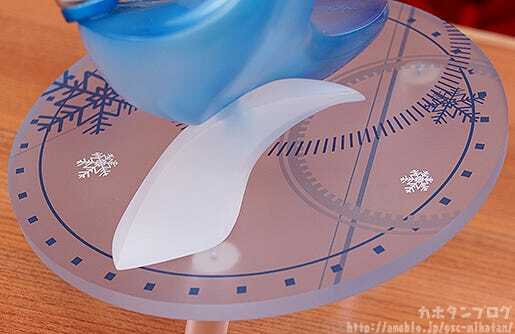 ▲ It also has a bit of a smoky appearance which suits the cold, ice-like appearance of the figure! 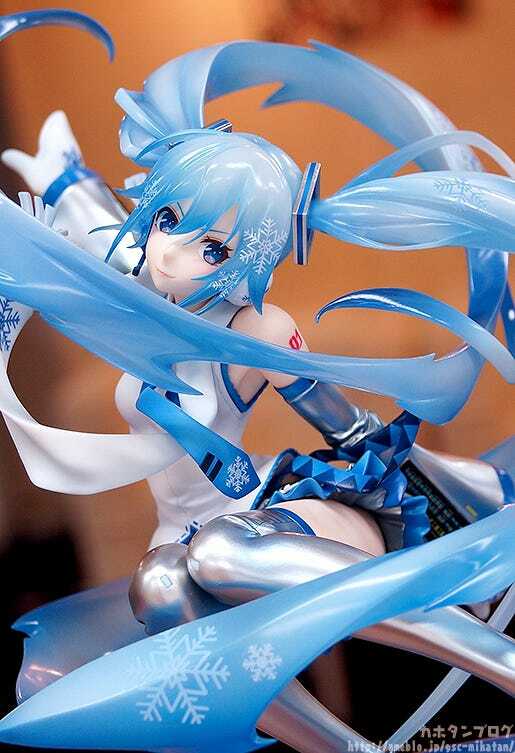 Be sure to add the snowy electronic diva to your collection! 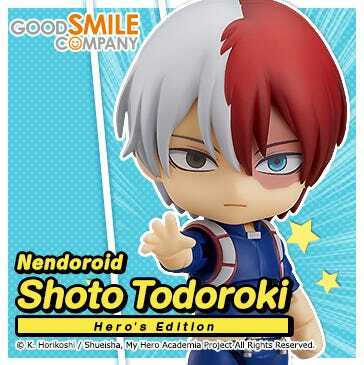 Plus those who want to see more of the figure before tomorrow, we are going to be running a live broadcast to take a closer look at the figure later today from 20:00JST (Click here to see your timezone)! The head planner of the figure will be there to point out all the finer details, so be sure to join us if you have the time! 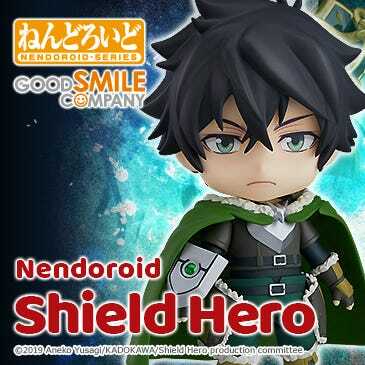 While this product will be available at some events and special stores, it is generally going to be exclusive to the GOODSMILE ONLINE SHOP, so make sure you don’t miss out on the order period! 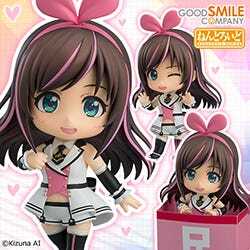 Orders close on the 21st February 2017 (Tue) at 12:00JST!